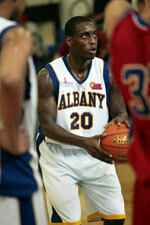 Nift Al-Janoub (IBL) agreed terms with 28-year old American guard Darious Clark (190-95kg-90, college: Slippery Rock). He played last summer at Team ABC2 (The Basketball Tournament) in the U.S. The list of the past achievements is quite long as among others Clark won Saudi Arabian League championship title in 2015. 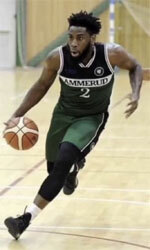 He was also voted Asia-Basket.com All-Iraqi League Co-Guard of the Year in 2017. Clark has played on four different continents (Europe, Asia, Latin America and of course North America). He has played previously professionally in Luxembourg (Grengewald), Mexico (Garra Canera de Navolato) and Saudi Arabia (Uhud). Clark attended Slippery Rock University until 2013 and it will be his sixth season as a professional player.